I've been working on a great new project for an upcoming Tacofino restaurant set to open in downtown Vancouver at the end of this year. Here are some photos of the progress, or lack there of. This Pinata cracked during drying. This was the first chance I had to see both lights wired up. 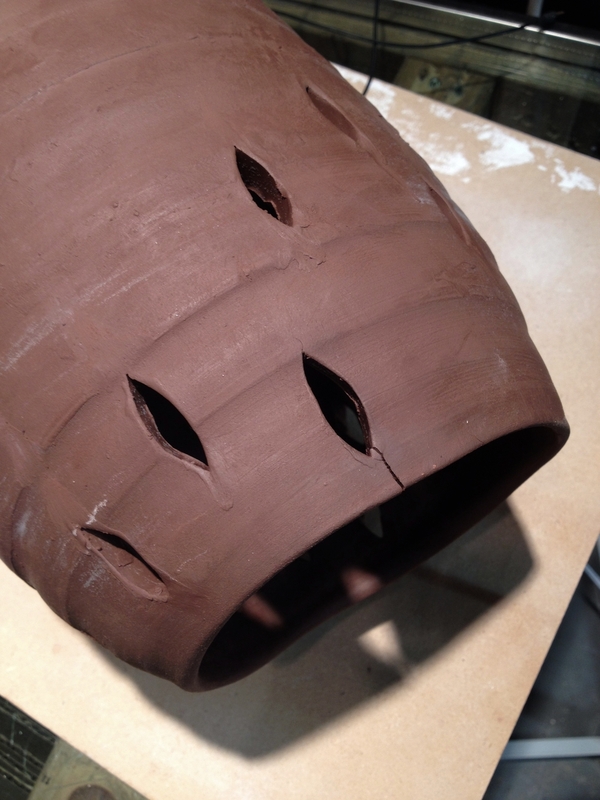 The terracotta 'Pinata' lamps will be glazed with a white glaze on the inside for more light reflection. The white Moony lamps will stay raw unglazed white earthenware.